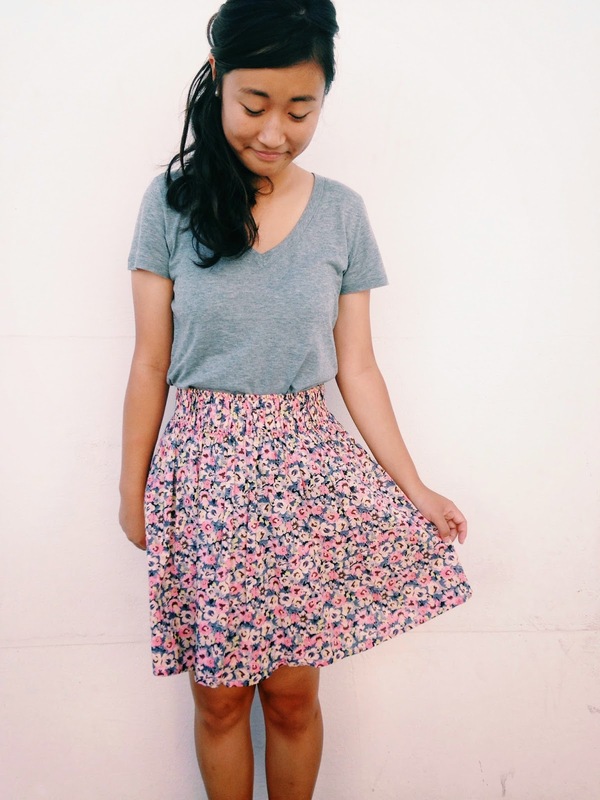 This is a modest girl of tans by the name of Esther Lee. 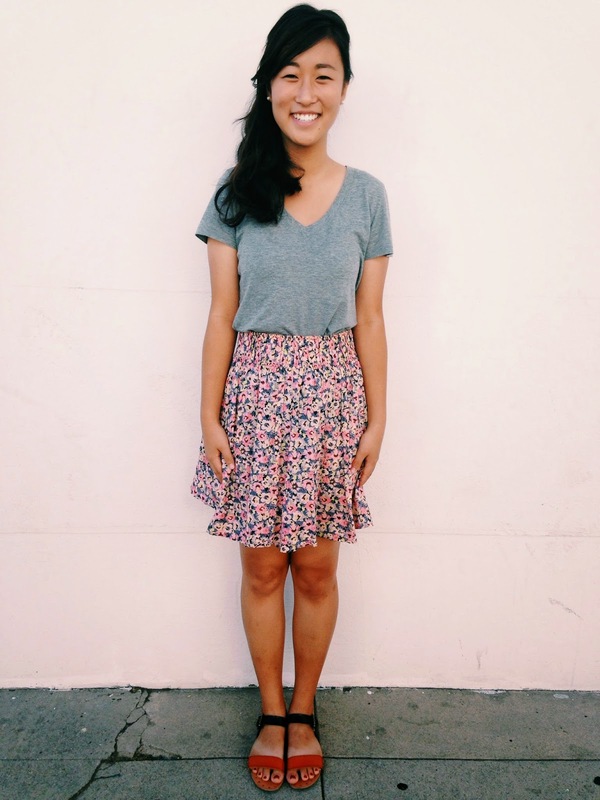 She is a senior at UCLA, and she is a smart girl with a huge heart. Something was definitely up, because people that normally aren't so girly were wearing such girly clothes the day I photographed all of them. 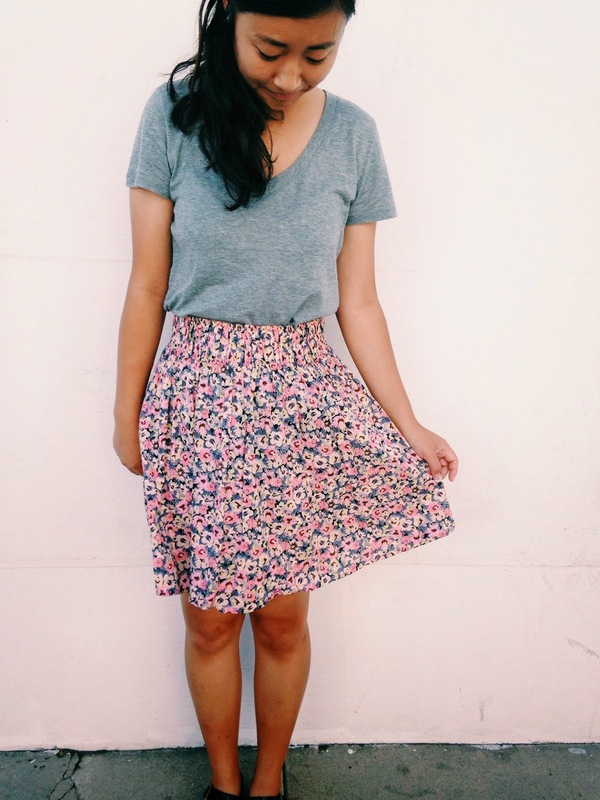 She put together a simple gray v-neck from Forever 21 with a floral skirt from H&M. but this casual outfit worked for a hot summer day. 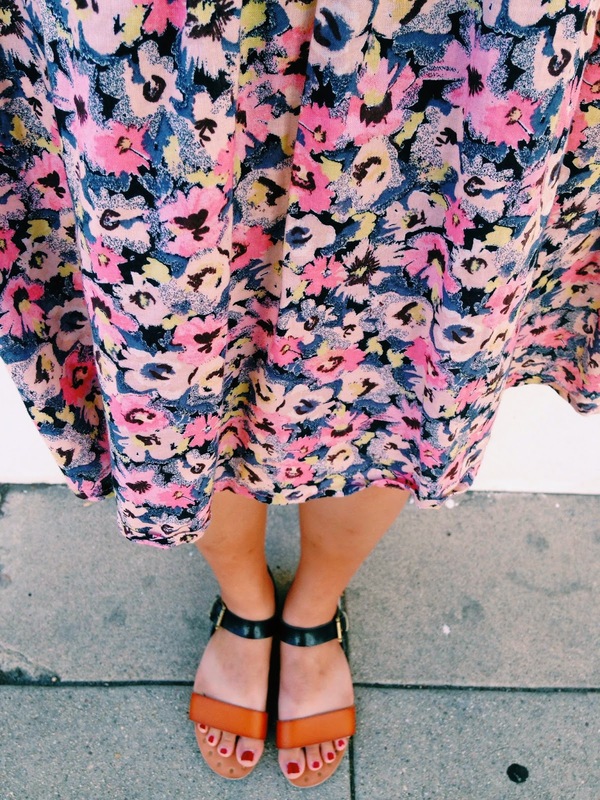 She wore these really simple, neutral sandals from Target. 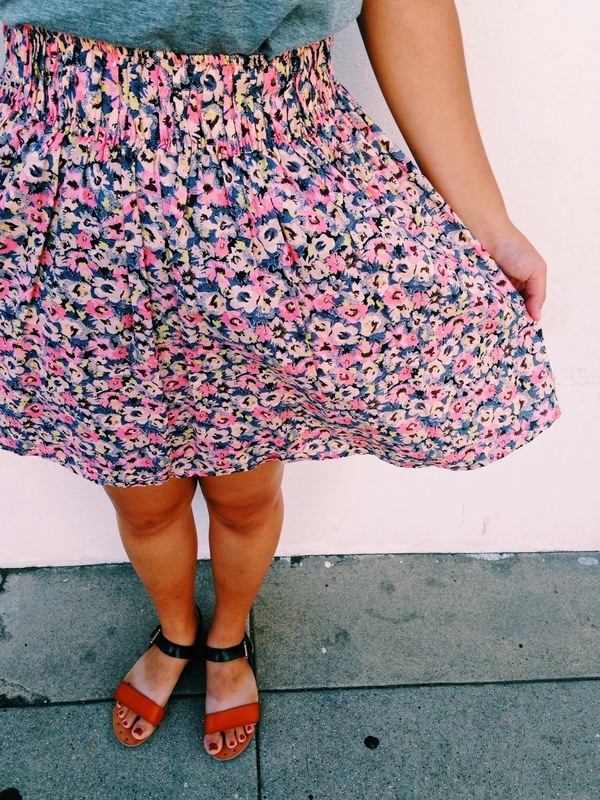 But most importantly, I loved the prints and the color scheme of her floral skirt. Thank you Esther for allowing me to photograph and feature you!